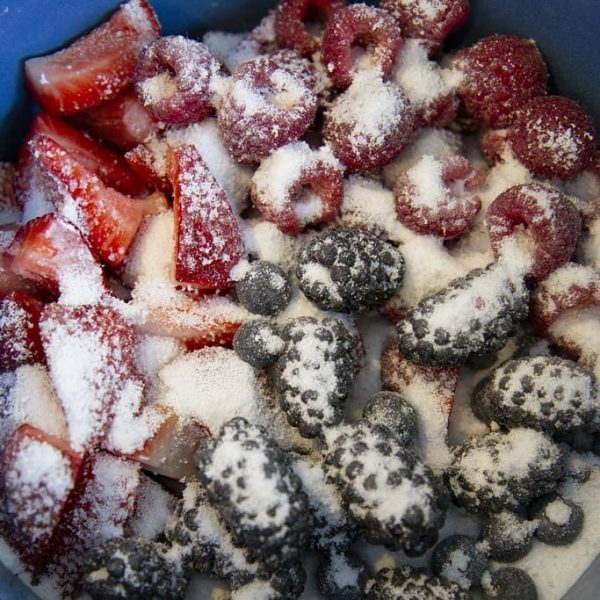 Low Carb Berry Topping. Perfect on chia breakfast pudding, high protein Greek yogurt or over your favourite Halo Top Ice cream flavour! 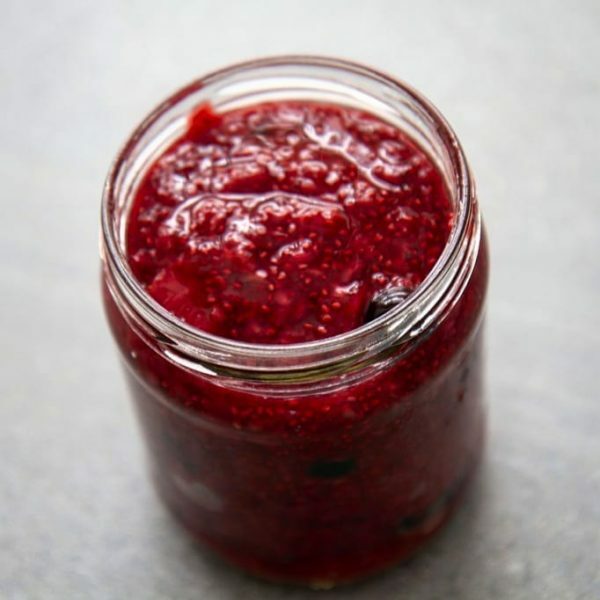 Very easy to make and since I used only berries it’s a nice lower carb treat! I used more strawberries, blackberries and raspberries as I prefer them over blueberries. Adding a bit of blueberries did create the perfect balance. Feel free to adjust how much of each depending on your personal taste. Only 4g net carbs per generous blob. There are about 26g carbs in a serving of regular strawberry preserves so this is a keeper for sure! Keeps well in the fridge in a sealed jar. 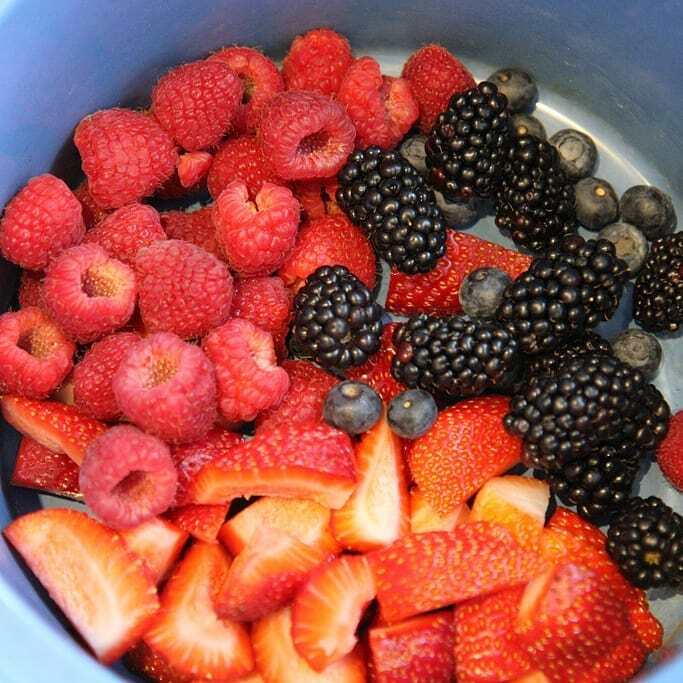 Add fresh strawberries, blackberries, raspberries and blueberries to a crock pot and sprinkle sweetener over berry mixture. Cook at medium for about 3 hours. Once the berries cook down, sprinkle the warm mixture with chia seeds to help thicken it up a bit. Transfer to a clean glass jar and let cool.